What does Apple REALLY want from Samsung? Answer: One-hundred percent of all profits gained from Sammy's smartphones and injunction barring sales of future models. Is that clear enough for you? Because it might not be from the stilted news stories about the Apple-Samsung trial under way here in California. Apple feels entitled to everything. That's how highly the company's top-brass thinks about their intellectual property and how little they do about Samsung's. Instead of reading about how much Apple demands, blogs and news reports focus on the puny 2.4 percent per phone Samsung asks Apple for so-called essential patents or the extent of copying as told by the fruit-logo company. The story you read everyday about the Apple-Samsung trial is a good yarn, but there's enough urban legend to warrant a Snopes.com entry. I was on vacation when the trial started and too busy upon return to really give enough attention to write anything. I'm also not in the courtroom, which is where reporters really need to be to cover a case this complex and to get expert analysis from lawyers and academics also attending the proceedings. But over the weekend, I got a chance to read some of the legal filings and legitimate commentary about the trial. I'm simply aghast at the poor quality of reporting and how much of it favors Apple's story. Trials like this one are as much about storytelling as lawyering and perhaps more when presenting to a jury -- who tells the better story inside and outside the courtroom. Much of the news reporting and US District Judge Lucy Koh's handling of the case remind me of what I saw during the US antitrust case brought against Microsoft in May 1998. Microsoft couldn't catch much of a break from US District Judge Thomas Penfield Jackson. Many rulings from the bench favored the government and more than a few unfavorably Microsoft (I covered the case and sat in the courtroom). Interestingly, the case that unfolded in actual legal filings differed from courtroom dramatics. The paper trail better favored Microsoft's defense than the trial. But the government told the better story, and lead attorney David Boies used the media effectively doing so -- little things like meeting with reporters (Drinks, anyone?) following the day in court. Much of the reporting favored the government's case, and too often ignored Microsoft's story. The Apple-Samsung lawsuit is a very different kind of case -- allegations among companies, with proceedings before a jury. The judge is still very influential, and her decisions from the bench hugely impact the stories the jury hears. It does seem to be a deliberate Apple strategy, to just knock out as much of Samsung's ability to tell its story as it can, and in fact, that's what lawyers are supposed to do, if it's all true and fair. But forgive me if at least one eyewitness, me, concludes that this indicates that Apple is pretty sure it can't win unless it excludes a great deal of Samsung's evidence, both for its defense and for supporting its counterclaims. If I am right about that, it means it feels it can't win fair and square. I mean, that's where strategies like this come from. It's expensive to lawyer like this, and you don't normally bother if you know you can easily win with both sides putting all their evidence in front of the jury. So Apple is either worried, or it's a serious bully. That indicates to me that Samsung can't be the bad guy Apple is portraying it to be. There's more to this story, and they don't want the jury to hear about it. There's nothing fair about courtroom antics. Lawyers seek to win by any means legal precedents allow. But I find it kind of strange that the news reporting is double-standard, if for no other reason than omission. There are thousands of blogs and news stories kicking Samsung for copying -- essentially making a value judgment -- while ignoring Apple antics that prevent the other side from telling its story. I make no value judgment. I expect lawyers to behave like those making Apple's case. My point is something else: The standard of fairness applied by bloggers, journalists and other writers. Reporting about this case is consistently tunnel vision that ignores Apple's behavior, broader legal context and business practices as a whole. Bloggers, journalists and other writers become Apple PR pawns -- like their predecessors did during the government's case against Microsoft, which severely damaged the software giant's brand. When the brand is damaged, there is even more presumption of guilt. The story unfolding now in the news media favors Apple. Simply: Samsung is a blatant copycat. The media story takes a black-and-white approach: Innovation is good, imitation is evil. But that thinking reflects American cultural mores that overemphasize the importance of innovation, while ignoring how much imitation is core to product development. That thinking also ignores the pervasiveness of imitation in the natural world, human society and business. Oded Shenkar's book Copycats: How Smart Companies use Imitation to Gain a Strategic Edge offers a startling perspective about how much innovation comes from imitation. "Apple is itself a consummate imitator", he writes. "More than anything, Apple is master of assembly imitation: it follows in the paths of many predecessors, which have existing technologies and materials to generate new technologies by recombining them". He calls companies like Apple that innovate from imitation "imovators". Samsung is one of those pioneers Apple follows. For example, Samsung controls several "essential patents" necessary for wireless handsets. As the current trial has revealed, they're patents Apple refused to pay for. From that perspective, Apple as a latecomer to the mobile device market seeks to devalue pioneer Samsung's intellectual property while seeking to increase the value of its own. News reports favoring Apple also diminish the value of Samsung's patents, while ignoring the fruit-logo company has yet to pay for them. Imovation is Apple's legacy. Did the company invent the MP3 player (iPod), music player (iTunes), smartphone (iPhone) or tablet (iPad), for example? That's no four times. Apple followed others to market, by imovation. Software is another example: Pages, Numbers, Keynote, iMovie, Garage Band, iPhoto and Aperture are among the many Apple apps that copied from pioneers. Apple may have in many cases done better, but not first. Last year, I identified just five of the features Apple copied from Android for iOS 5. I could compile hundreds of nitpicking examples (please feel free to contribute your own in comments). But from the reporting about the trial, Samsung is the only copycat and Apple no imitator. That's no value judgment. I see no problem with companies copying ideas and making more of them. Go head and copy, Apple, just don't pretend you don't and sue others for doing so. Shenkar sees imovation as a trait among successful companies. For example, "because imitators often differentiate themselves from the original, they are often more attentive to game-changing technologies". Apple's aforementioned imovation is good example, looking at the success of iPod, iPhone and iPad. Samsung is another. For all the trial talk about copying, Samsung moved beyond iPhone, which is much the same today as the model released two years ago: Same form factor, display, size screen, etc. Meanwhile, Samsung introduced larger displays, better screen technology, software enhancements not available on iPhone and opened up the "phablet" category with Galaxy Note. iPhone 4S differs in many, many ways from the first three models. Similarly Samsung phones evolved. These changes are about competition, not copying or lawsuits. Did Sammy go to 4-inch and 5-inch plus phone displays because of Apple? Or adopt LTE, which iPhone lacks? Or keep a replaceable battery design when Apple chose fixed? Or add a stylus and essentially launch the phablet category? Where Apple offers nothing. Meanwhile, the news media obsesses about Samsung copying while giving Apple a pass on iPhone falling behind. Instead, writers obsess about iPhone 5's innovations, about which they know nothing and can only conjecture in seemingly endless rumor stories. Perhaps consumers are smarter. During second quarter, Samsung smartphone shipments rose 173 percent year over year, according to IDC. Apple: Up 27.5 percent. Samsung is the global leader in smartphones. A year earlier, Apple was. The point: Shenkar's observation about imovators' success strategies. I've gone roundabout way to open the topic of American cultural bias about innovation being good and copying being bad, which ignores basic biology and larger society. In their two-volume Perspectives on Imitation, Susan Hurley and Nick Chater examine copying in the natural world and human behavior. There are many aspects of copying that are uniquely human and actually separate us from other species. The authors offer several compelling arguments. As a former biology major, I find interesting the close association with copying/imitating and language development. Look around you. How do your babies learn to talk and walk? Copying! How do people adopt accepted social behavior? Copying! How do people fit into social groups? Copying! Imitation is everywhere and accepted. Even by Apple cofounder Steve Jobs. At one time. From a mid 1990s interview, Jobs says: "Picasso had a saying, he said: 'Good artists copy, great artists steal'. We have, you know, always, ah, been shameless about stealing great ideas". Later a dying, and perhaps embittered, Jobs tells his biographer Walter Isaacson: "I will spend my last dying breath if I need to, and I will spend every penny of Apple's $40 billion in the bank, to right this wrong...I'm going to destroy Android, because it's a stolen product. I'm willing to go thermonuclear war on this". "By the way, Samsung isn't allowed to tell the jury about that either", Jones observes. Even though it's information publicly available. In many industries, copying is taken for granted. For example, auto makers rarely sue one another over designs in part because US law allows for a surprising amount of copycatting -- surprising in the sense most of the reporting about the Apple-Samsung mentions nothing. There are sound common-sense principles behind US laws. Think geometry or physics of practical design -- say how a rounded surface absorbs impact versus a flat/rectangular shaped one. There are only so many ways certain things can be designed. This is certainly true of autos but also smartphones. From the physics of design, rounded corners -- something Apple contends Samsung copies -- is more sensible. In general terms, a product feature is functional, and not protectable, 'if it is essential to the use or purpose of the article or if it affects the cost or quality of the article'. Qualitex v. Jacobson Prods., Co., 514 U.S. 159, 165 (1995). Having a utility patent on a product is strong evidence that the patented features are functional and thus not protectable trade dress. Traffix Devices, Inc., 532 U.S. at 29. Trade dress will meet the distinctive requirement if it either: 1) is inherently distinctive; or 2) has acquired distinctiveness through secondary meaning. Two Pesos, 505 U.S. at 769. Generally, distinctiveness of product design trade dress will not be considered inherent and can only be obtained through secondary meaning. Wal-Mart Stores, Inc., 529 U.S. at 214-16. Distinctiveness of product packaging trade dress, on the other hand, may be either inherent or acquired. Id. at 214-15. More simply stated: "Trade dress is inherently distinctive if its intrinsic nature serves to identify a particular source". Does this measure apply to iPhone? Or iPad? That's for the jury to decide, not bloggers, reporters and writers going on and on about Samsung copying Apple. The law provides that anyone who sells "a colorable imitation" of a patented design 'shall be liable to the [patent] owner to the extent of his total profit'. 35 U.S.C. § 289 (2006). 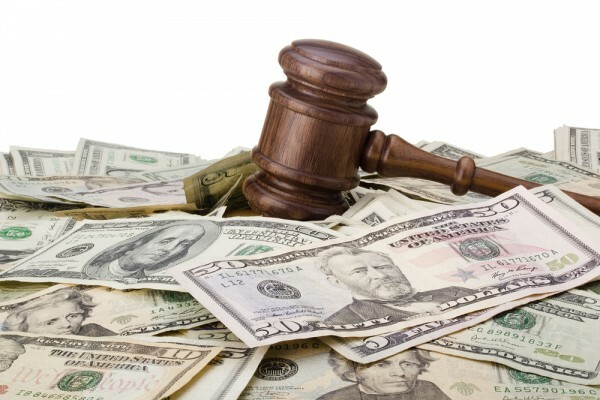 The Federal Circuit has held that 'total profit' means exactly that -- all profits received by the infringer for sale of the product without reducing that profit to account for the alleged contribution of the patented design. Nike, Inc. v. Wal-Mart, 138 F.3d 1437, 1442 (Fed. Cir. 1998); see also Bergstrom v. Sears, Roebuck & Co., 496 F. Supp. 476, 495 (D. Minn. 1980). Similarly, 15 U.S.C. § 1117 requires Samsung's to disgorge the profits it obtained from sales that dilute or infringe Apple's trade dress. "Yes, you read it right. It wants all of Samsung's profits from any product found to look too much like Apple's. One-hundred percent, without even subtracting for all the other features and technology that Samsung worked hard to invent, and paid R&D to think up, and put together", she explains. "On top of that, Apple goes on to say, it wants damages for lost profits, in this case $500 million just for that, with interest and costs. And then it wants 'similar remedies' for trade dress infringement and dilution as for patent infringement. Ka-ching". But Apple wants more, or perhaps simply gets it as a gift: The trial, and particularly reporting about it, damages Samsung's brand image. This case could cause irreparable harm to Samsung's brand, much like the US antitrust case did to Microsoft. A decade after US District Judge Colleen Kollar-Kotelly imposed her remedy, Microsoft can't escape the bad reputation gained during the trial. Meanwhile, if press reports are to be believed, Apple is a white knight -- the noble innovator saving the world from bad technology and bringing to it good taste. A word to Apple from "Charlie the Tuna" commercials I grew up with: "Consumers aren't looking for products with good taste, they want products that taste good". As for writers taking Apple's story hook, line and sinker: Do some research. Readers, tell me: Would you confuse Galaxy Tab for iPad? Are Apple's slate designs distinctive such that they're like a visual trademark? Do you see Apple, Samsung or any other company copying as doing something wrong?